We love to find fun drones out there, even if from manufacturers that are more focused on, say, camera rigs than on avionics. 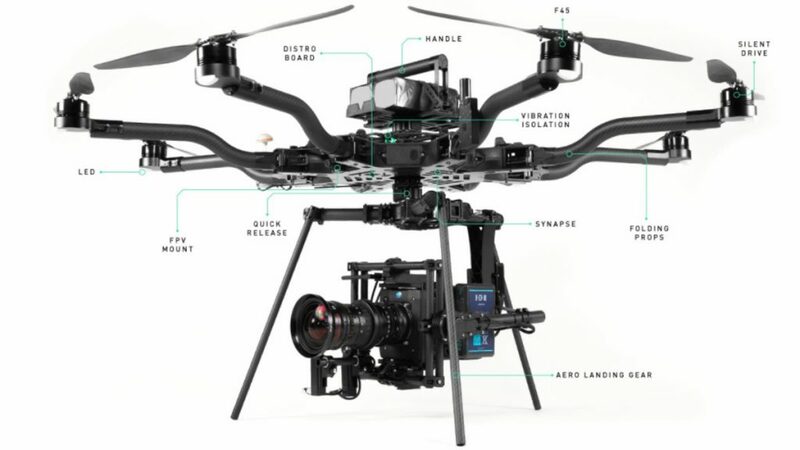 FreeFly Systems is one such manufacturer, they build high-end camera gimbals, some hand-held gimbals and, of course, a drone. Admittedly, a FreeFly drone is an expensive thing that few of us will purchase to fly at home. However, as far as a large and versatile camera rig goes, we have a serious contender on our hands. The drone in question is the FreeFly Alta, a large machine that comes in two variants designed to put your high-end camera into the sky. The FreeFly Alta comes as the Alta 6 and the Alta 8. No beating around the bush, the Alta 6 has six propellers, and I will let you guess how many propellers are on the Alta 8. What really sets the Alta drones apart from most other machines on the market is their size. These are folding drones, the larger of which, when folded down, is still larger than the DJI Inspire 2. You can decide if that is a good thing or not for your needs. Capacity is the name of the game, the Alta 8 is rated to get 40 lbs off the ground, that gives you about 26 lbs of payload. The puny Alta 6 only gives you 15 lbs of payload. If you are a DJI fan, the Matrice 600 Pro lifts about 13 lbs. Finally, like few other flying machines on the market today, both FreeFly Alta drones can suspend the camera below or mount on top to shoot video upward. Of course, as a high-end camera rig company, the drones are designed to utilize some of the more portable gimbal systems from their extensive line. Let’s look at the drones. The smaller of the two, the Alta 6 is a hexacopter that measures over 44 inches across ready to fly. There is enough juice in the motors to pickup 15 lbs from the ground. No compromises were made in terms of flight capabilities, you can expect all the best of GPS enabled flight, with return to home modes and more. Depending on your battery configuration and final payload, the Alta 6 is rated to be airborne for as little as 10 minutes, all the way up to 45 minutes if you fly empty. Folded down, the Alta 6 measures almost 22 inches across, so you’ll need a decent sized backpack to haul this thing around for fun. Of course, there is a price tag to these drones that may deter you from hauling it around on a whim. 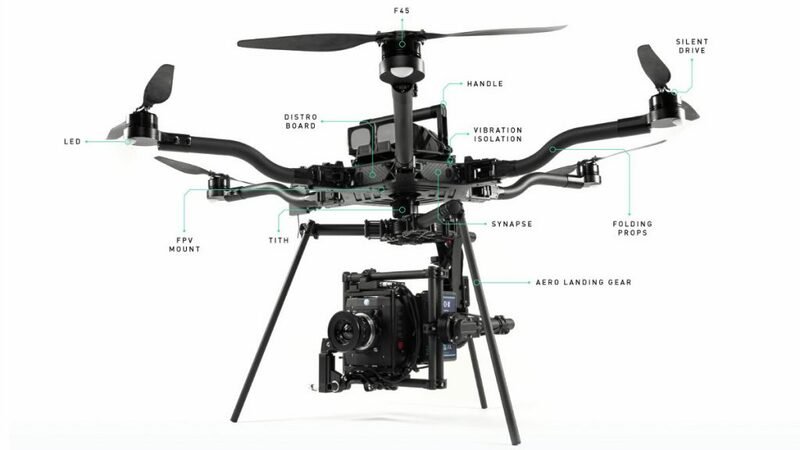 The FreeFly Alta 6 is $12,000.00 for the base flight package. You’ll still need a camera and gimbal after that. Honestly, the Alta 8 is little more than the larger machine in the Alta line. Packing 8 propellers and enjoying improved capacity is another story, but otherwise the six and eight are near identical for features. Measuring 26 inches across… Oh, sorry, that’s the folded size, the Alta 8 is a whopping 52 inches across when ready to fly. That’s machine enough to grab about 20 lbs of camera and hit the sky. Enjoying, of course, all the best drone connectivity that you would expect of a precision drone. Flight time is slightly less impressive than the smaller machine, the Alta 8 will get from about 8 minutes with the weakest batteries and full load, up to about 34 minutes with no load at all. 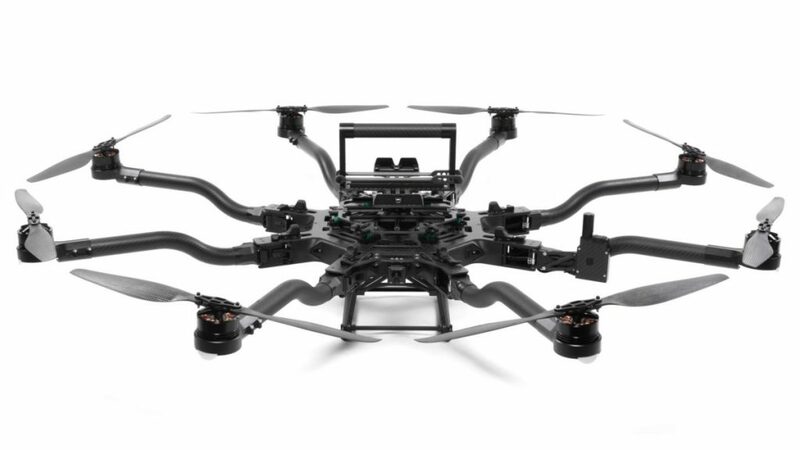 The FreeFly Alta 8 is $17,500.00 with the tidbits you need to fly. Accessories and a camera are additional. The two machines that FreeFly offers today are impressive drones. We always enjoy seeing them on the show floor of events like CES, the NAB Show and InterDrone. Perhaps one day we will get to take the controller and put an Alta into the air. We hope FreeFly will dabble in some consumer friendly drones in the future. We do like DJI, but we appreciate great competition in the market, and we think FreeFly is building a backbone for drones that are reliable, safe and highly functional. Have you seen a FreeFly drone in action, or just on a shelf?